When disaster strikes, SERVPRO of Henderson/Boulder City has been here assisting our residential and commercial customers for the past 20+ years! Whether affected by water damage, fire or smoke, bio-hazard, issues from vandalism or general clean up, our staff is always ready to help! You can contact us around the clock and our IICRC trained technicians will respond, providing the expertise, equipment and sense of urgency to get the job done right. If your loss involves insurance, we are well equipped to support you as we’re a preferred vendor for leading insurance agencies. We’re ready and willing to guide you through the claims process and provide all needed documentation and follow up, ensuring a smooth outcome. We know emergencies are unplanned, disruptive and often devastating. Look to us as a trusted partner to help you through your disaster, making it “Like it never even happened." 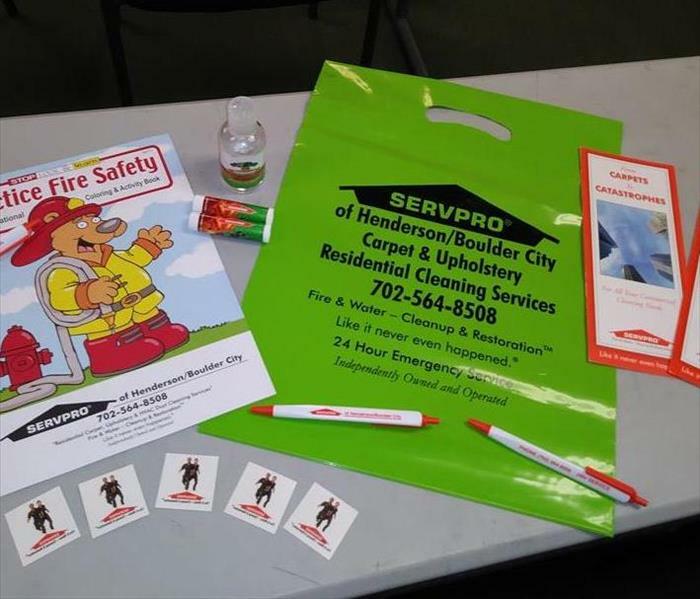 SERVPRO of Henderson / Boulder City is locally owned and operated, so we are part of this community too. When you have a cleaning or restoration need, we’re already nearby and ready to help. We take pride in being a part of the Henderson, NV community and want to do our part in making it the best it can be.